Influenza is a respiratory infection caused by the influenza virus. It is spread through respiratory droplets. After you are exposed to someone who has the flu it takes 1-4 days before you start showing symptoms. Usually it causes sudden onset of severe headache, body-ache, fever, runny nose, and cough. While you are sick with the flu, and even a day before you get sick, you are contagious, meaning you can pass the virus along to others if you have close enough contact. Influenza is commonly called ‘the flu’ which is differentiated from common cold symptoms by the severity of body aches and fever. It is also different from the stomach flu or gastroenteritis, which is the vomiting and diarrhea viral illness that is often referred to as the flu. What should I expect if I get sick? The symptoms will resolve after a week or so and most people will recover fully without any specific treatment for the flu. There are antiviral medications available to treat the flu (Tami flu & Relenza are two) but these only shorten the course of being sick by a day or two; their use should be minimized to prevent the flu virus from developing resistance to the medication. These medications are more effective if you start them as soon as possible after you develop flu symptoms and do almost no good if you have been sick for more than 72 hours. Like a cold, the cause of the infection is a virus and antibiotics will not get you better any faster unless you develop a secondary bacterial infection like pneumonia. While you are sick, it is best to stay home and treat your symptoms with tylenol or ibuprofen, drink plenty of fluids and rest. This will allow your body to recuperate and heal itself while preventing others from getting ill. Occasionally, people get quite ill and every year people die from influenza. Usually these deaths occur in the very young and very old, or people with chronic medical conditions. Last year, there was a higher than expected percentage of deaths in normally healthy individuals due to the H1N1 strain of influenza. If your breathing becomes difficult at any point while you have influenza, you must see your doctor or go to an urgent care or ER for an evaluation to check your oxygen saturation, maybe get a flu test, or a chest x-ray to make sure you don’t have a bacterial pneumonia which can be a complication of influenza. The main way to prevent getting influenza is to avoid contact with people with the flu, and be really good about washing your hands. Soap and water work just fine, but if you don’t have access to a sink, hand sanitizer will suffice. This is good advice to follow through the entire cold and flu season. If you get sick, be sure to stay home until 24 hours after the fever resolves. You must be vigilant about washing your hands after touching your nose or mouth and before you touch any household items. Getting the influenza vaccine when it becomes available will allow your body to build immunity to the influenza virus ahead of time, so that if you are exposed to the virus, you either won’t get sick or you will get a much more mild case of the flu. The vaccine does not cause influenza. It is recommended that everyone over 6 months old get the flu vaccine. If you have had a prior allergy to the flu vaccine or have an egg or chicken allergy, or currently have a fever or have a history of Guillan-Barre after the flu vaccine, you should not get the vaccine. 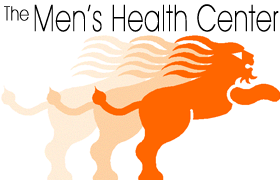 The Men’s Health Center has the adult flu vaccine in stock, so you can call anytime for an immunization appointment. It is $40 and only takes a minute.